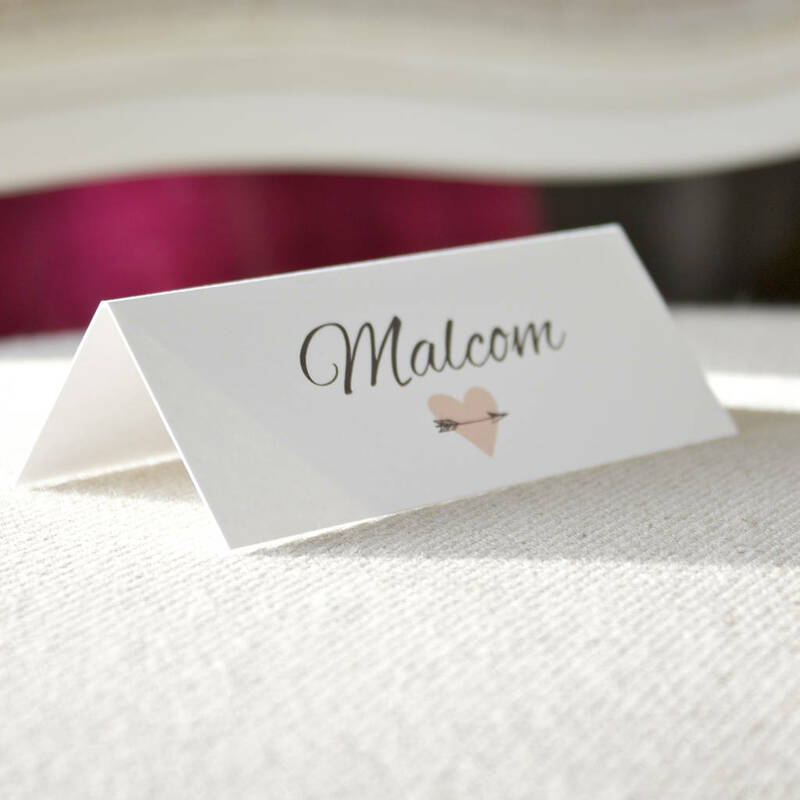 A pretty personalised folded place card from our contemporary Heart + Arrow wedding stationery collection. 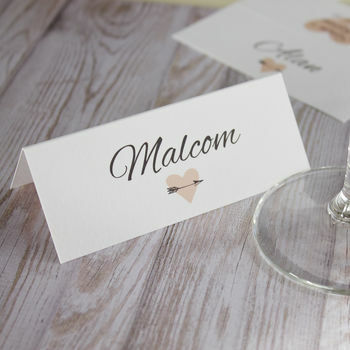 Personalised to order there is a minimum order of 30 place cards, please enquire if you would like less . 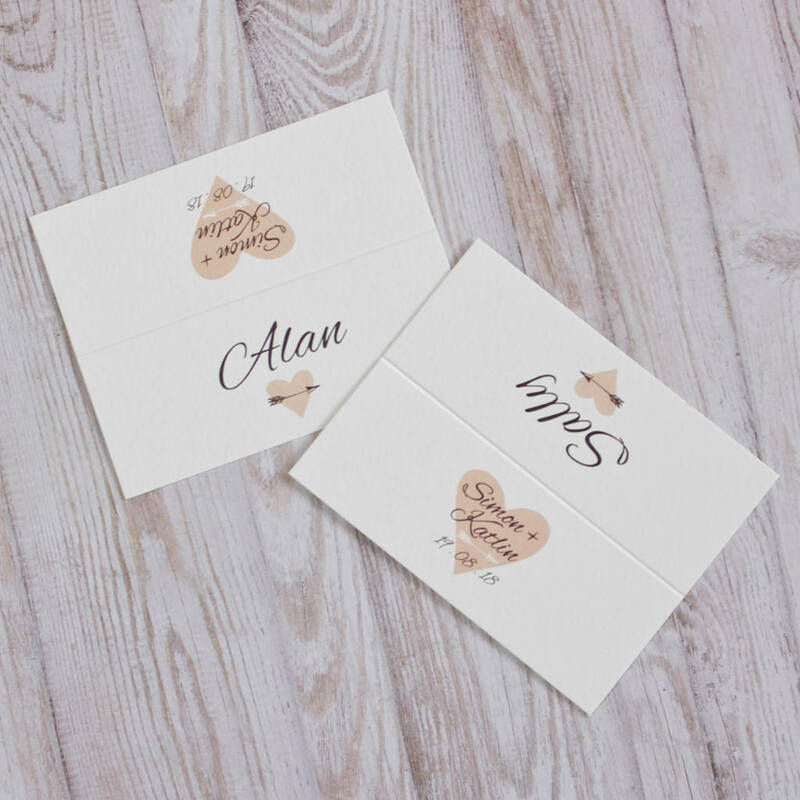 Fresh and modern our Heart + Arrow stationery collection samples are shown in coral and dove grey but but this can be changed to suit your wedding colour scheme, we love aqua and dove grey but most colours will work with this design. 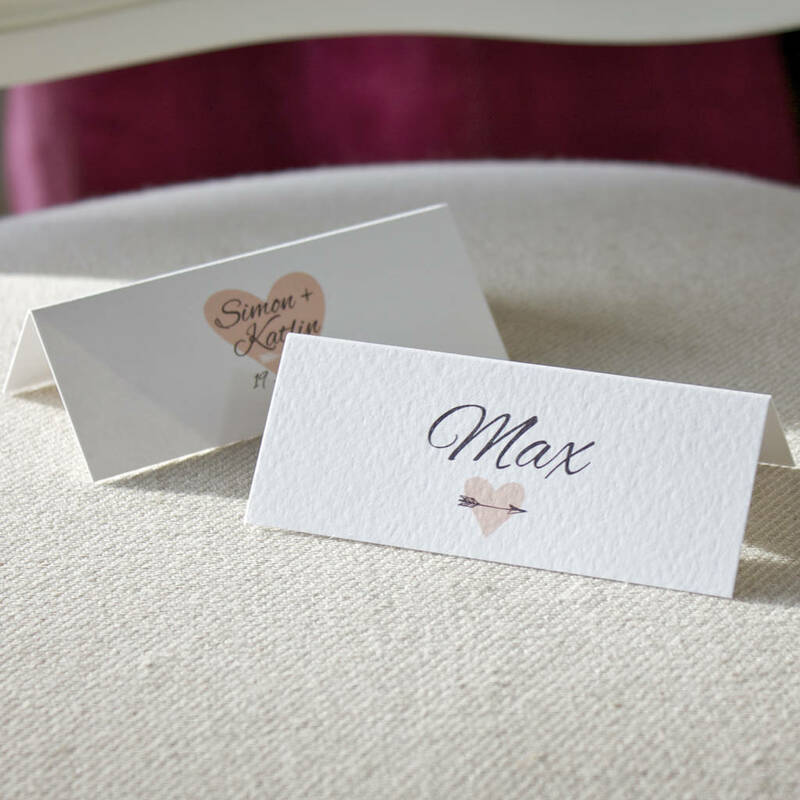 Printed on gorgeous textured 300gsm card all place are printed on the reverse too with the wedding couples names and wedding date, making them a little bit more special! 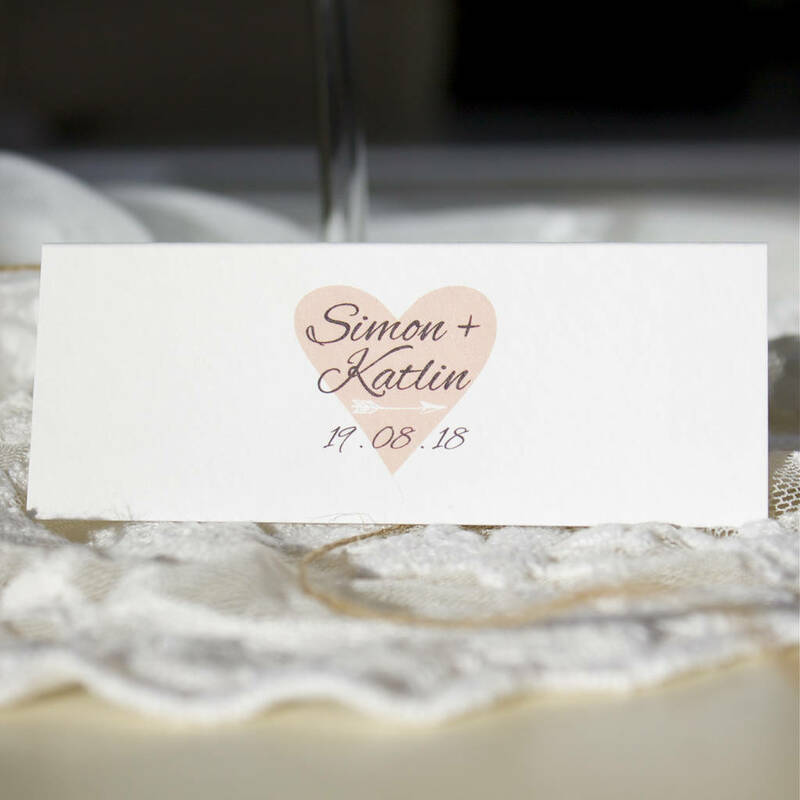 If you would like something different printed in the reverse such 'Enjoy the Celebrations' etc please let us know and they will be designed to suit you. 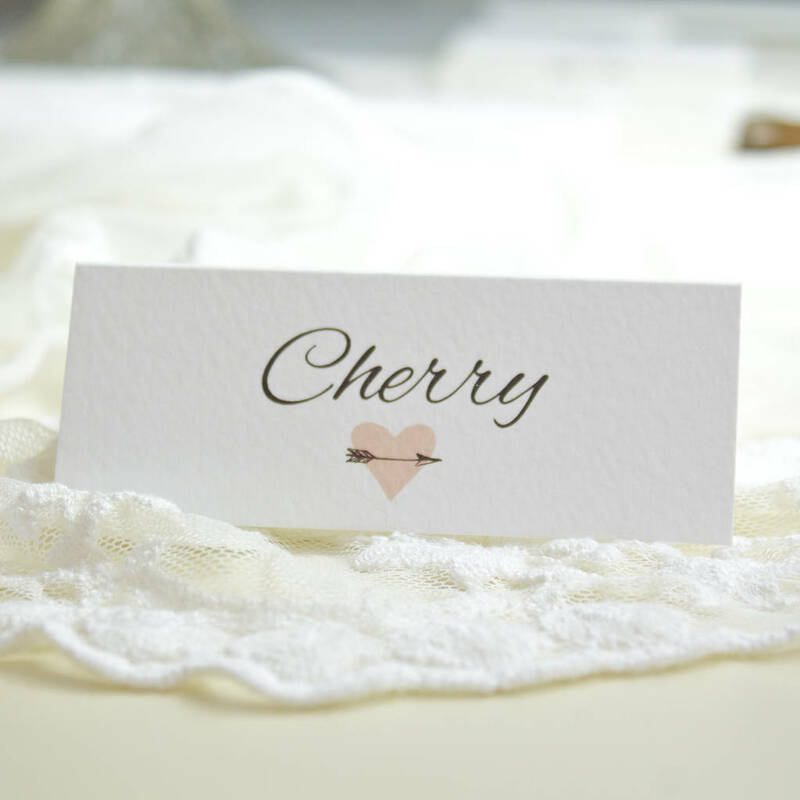 After ordering we will contact you to ask for your list of names and produce a sample pdf of one card to show you prior to printing. 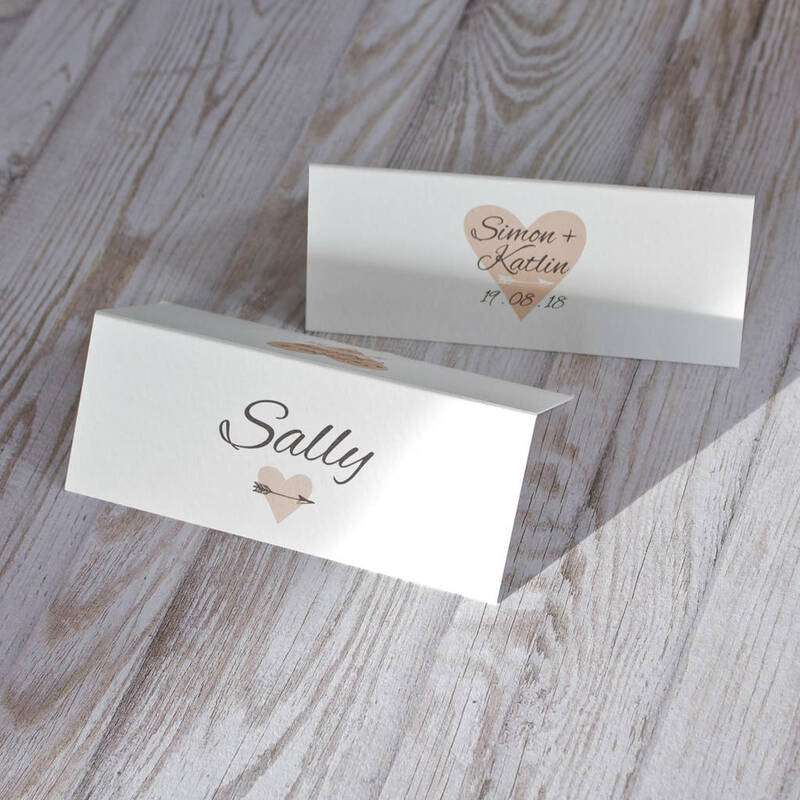 For quantities other than those listed in the quantity box or any other bespoke queries please get in touch prior to placing the order . 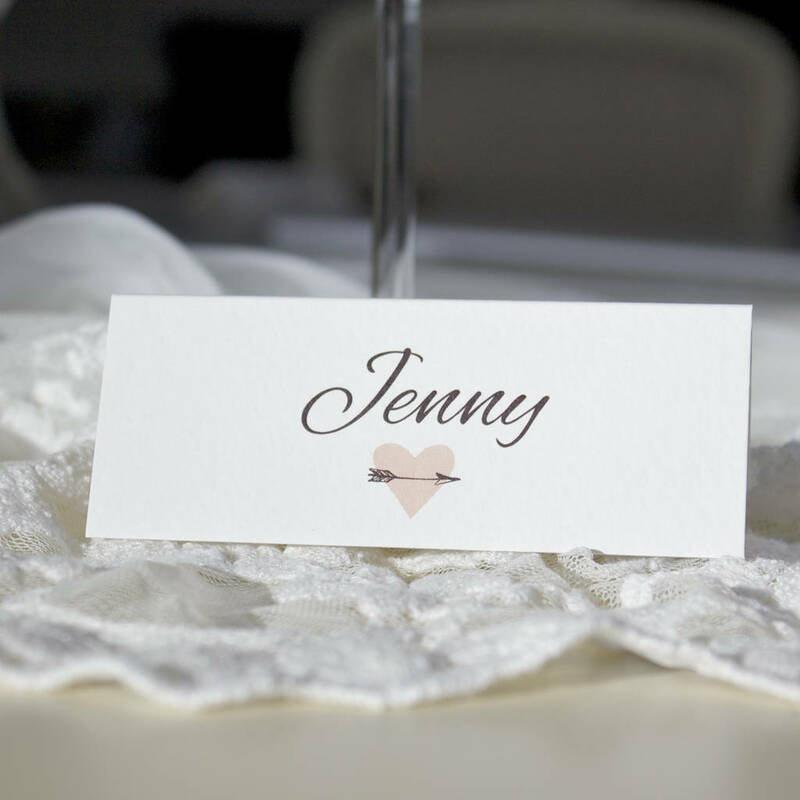 We are able to provide customised place cards within very short lead times as corporate gift's. 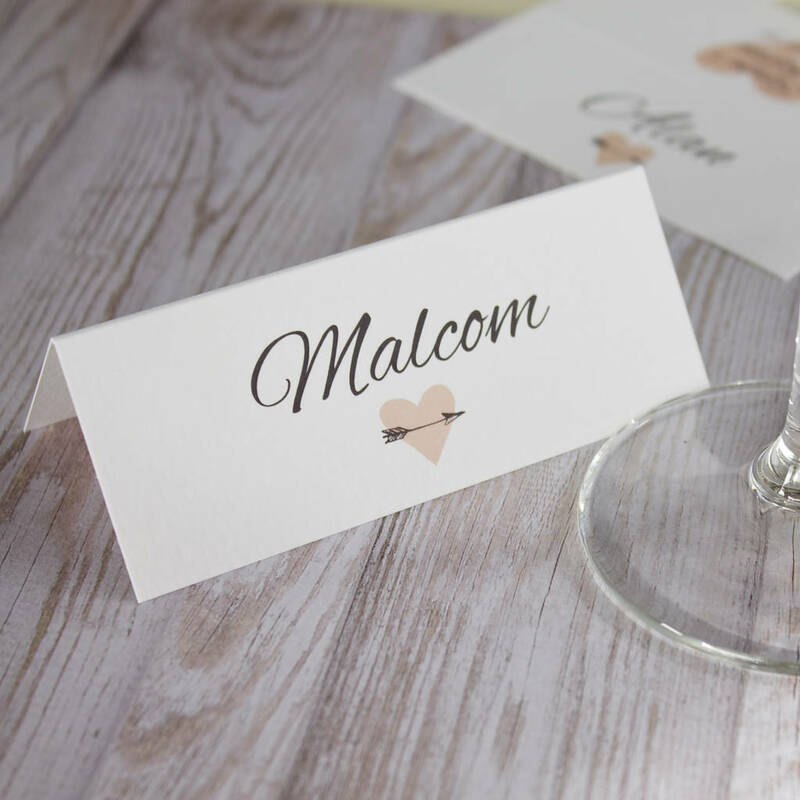 To discuss your corporate gift needs, enquire about product personalisation, a 10% discount and place your order please contact noths corporate gift service team on 0344 745 9626. 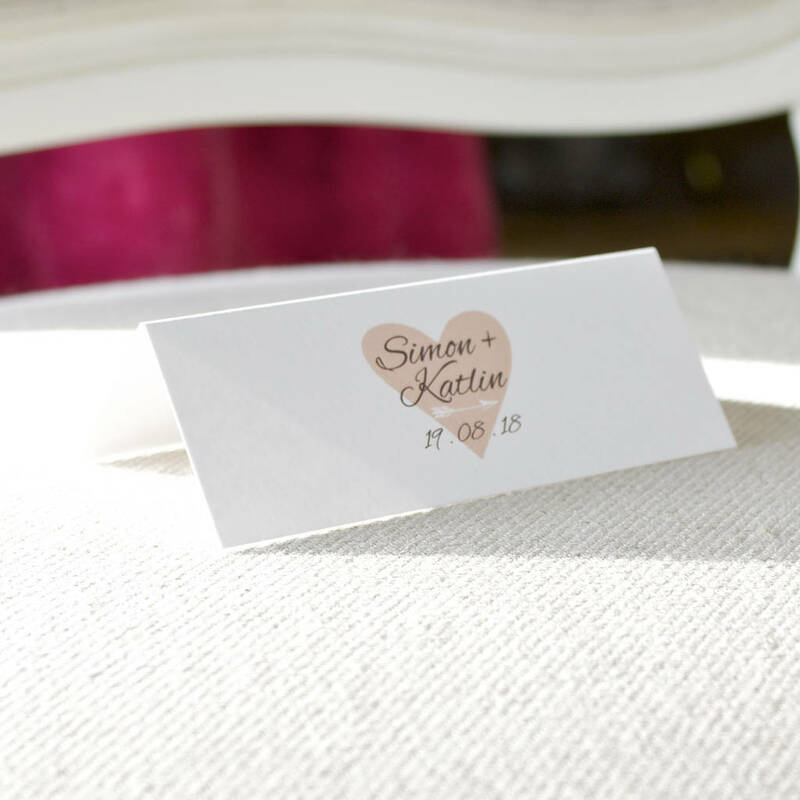 Digitally printed on 300gsm a gorgeous textured gesso card.